This week Arthur’s Father, Uther, comes out to join us. With his restless lust for power, he has come to show us the way. 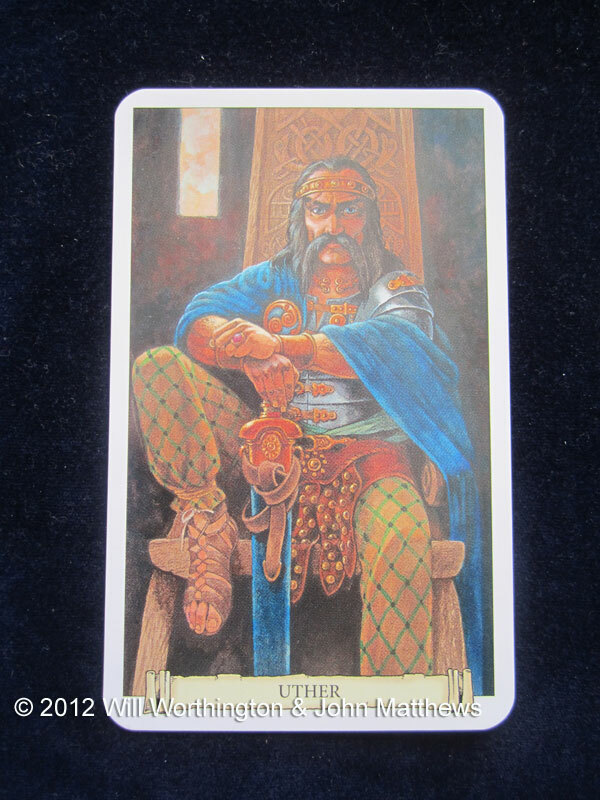 Uther is one of the most popular Arthurian figures of all time. He is of course, Arthur’s father, second husband to Igraine and a Pendragon (that is, a Chief); Arthur will of course inherit this name when he becomes king. Unlike the TV adaptation of these tales, Arthur never learns who he is until Uther is dead. They have never spoken or shared any fatherly time, and that I find quite sad. What makes someone want something so badly that they’ll con people into it? Uther wanted Igraine so badly, that he was willing to ruin her reputation and her marriage to Goloris, to get what he wanted. Did it work for or against him, in that he never knew his son? We’ll never know, really. That Goloris never killed him? That was probably for the best. I would find his totalitarian rule hard to live by, but as they say, it’s a dirty job and someone has to do it. How much stamina, determination, strength of character and will, passion and restless nature did this one man have? The late and great Nelson Mandela, Madiba, died very recently, just a few days ago on December 5th as I write this blog post. Mandela displays some of the same characteristics as Uther here, which makes me think that the souls do come back, that we do learn from our past. If we’re born with the DNA of our parents and previous generations (and I think we are), we’re already coded with the mistakes we need to try to avoid. How then do Oracles and Tarot fit into our life? Well, just because we’re coded with the knowledge of the past, doesn’t mean we get to remember the codes! We have to take our cue from what’s around us. The Tarot and Oracles can guide us and let us “access” that code, that intuition. If you’re not sure of your answers to the questions above, come and book your personal Tarot reading right here. 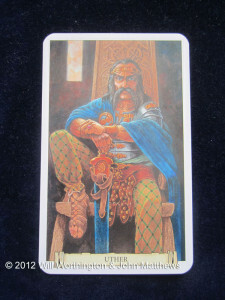 I used the Camelot Oracle for this post, which is published by Connections, written by John Matthews and illustrated by Will Worthington. You may wish to amend your post, Mandela sadly passed on 5th December. I enjoy all your posts.